British Actress best known for roles in movies like Vera Drake. In 1988 daily herald it described her "two dozen 'munchkins', some of them so tiny they make even Imelda Staunton's 5-foot-nothing Dorothy seem tall". 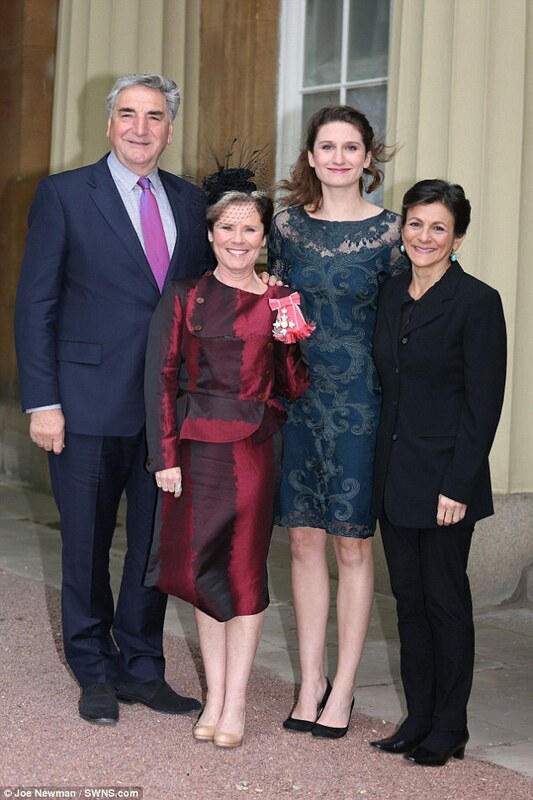 Imelda herself gave her height in 2008 (Telegraph) saying, "There I was, 5ft, and [Jim] is 6ft 2in"
I'm guessing Imelda is more 4'11", possibly 4'10" even. She looks like a midget, i can't see five feet for her. Rob, are you sure? Editor Rob: at her age she might be under 5ft, like 4ft 11. Her daughter managed to get taller height genes from Jim than her! I saw her after the Sweeney Todd musical a couple of years ago. She was towered by everyone waiting for her. It must feel quite claustrophobic for someone as tiny as she. I didn't try to compare my height with hers (and couldn't see her shoes, anyway) so I couldn't say how tall she was to me but she's certainly very small. Rob, could she be under 5'? There's plenty of photos of her at Getty from the HP5 premiere and she looks really, really, REALLY short, even in heels+big hair. Maybe her peak height was around 5'? She's already past the age when women start to shrink.